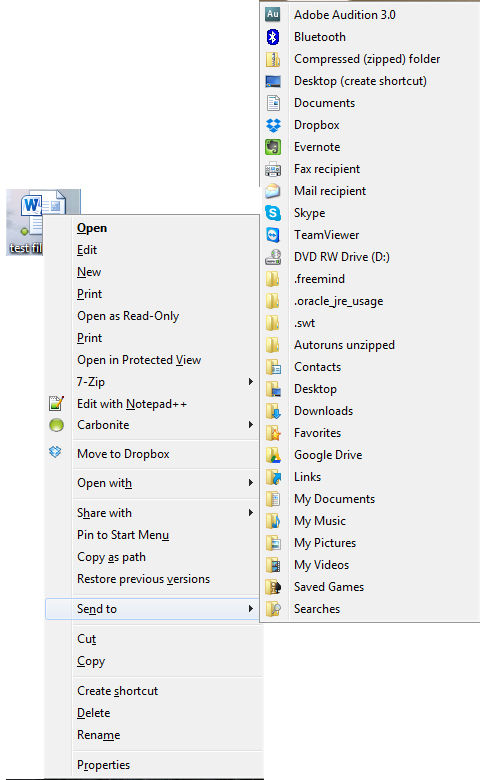 You’re probably already familiar with the “Send to” menu in Windows. What most people don’t know is that there’s a hidden, expanded “Send to” menu that gives you a lot more options. The regular Send To menu is certainly no secret. In fact, I use it all the time – most commonly, to put shortcuts to often-used programs right on the desktop for easy access. 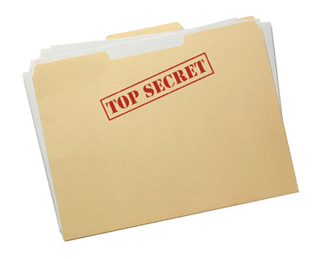 Just about any file or folder can be “Sent” somewhere. When you right-click on a file or folder, you get a short menu that pops up, and one of those options is “Send to”. When you put your mouse over the words “Send to”, you’ll see another menu fly out – and you can choose where you want to send that file. 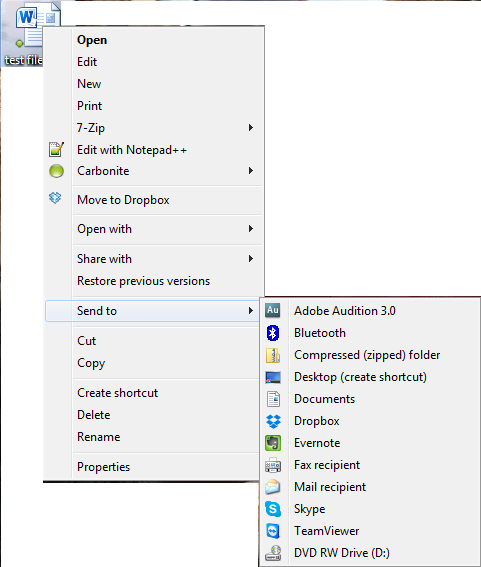 So you can see I have the option to send that Word document to Adobe Audition, or a compressed folder, or Dropbox, or Evernote, or any other of the locations or programs in that list. But what you’re seeing there is just the REGULAR “Send to” menu. We’re looking for the Secret Super Duper EXPANDED “Sent to” menu. Of course, what shows up as options in the “Send to” menu (either one) will vary somewhat between different computers. In my case, I have added a few of the options manually on the shorter version. You can add to that menu or delete items from it so that it’s customized the way you want it.